Particular thanks are expressed to Ted Bradstreet for providing illustrations of the 20mm MG 204 and of three Japanese guns: the 20mm Ho-1 and Ho-3 and the 30mm Type 5. 1. Browning .303" (7.7 x 56R) UK. Included for comparative purposes. Version for turret mounting (note the cocking lever and the flash hider). 2. MG 131 (13X64B) Germany. Observer version with a pistol grip. UN 13mm Type 2 was the same, except for ignition method. 3. Ho-103 (12.7X81SR) Japan (IJA). Also known as the 12.7mm Type 1. Browning type action. 5. 12.7mm Scotti (12.7x81 SR) Italy. Note gas duct under barrel. 6. Browning .50" M2 (12.7X99) USA. UN 13mm Type 3 was the same, except chambered for the 13.2 x 99 cartridge. 7. 12.7mm Beresin UB (12.7 x 108) USSR. Note gas duct above barrel, with charging cylinder above that. Different versions were built for different installations. 8. Mauser MG 151 (15 X 96) Germany. Note the long, slim barrel, designed for engine mounting. 9. Oerlikon FFF (20 x 72RB) Switzerland. Note 60-round drum in place. UN Type 99-1 was initially identical, but developed in service. 10. Ikaria MG-FF (20 X 80RB) Germany. Developed from Oerlikon FFF. Drawn from above, without magazine, to show the pneumatic charging cylinder alongside the gun. 11. Oerlikon FFL (20 x 101RB) Switzerland. UN Type 99-2 was initially identical, but developed in service. This version is drum-fed (without magazine). 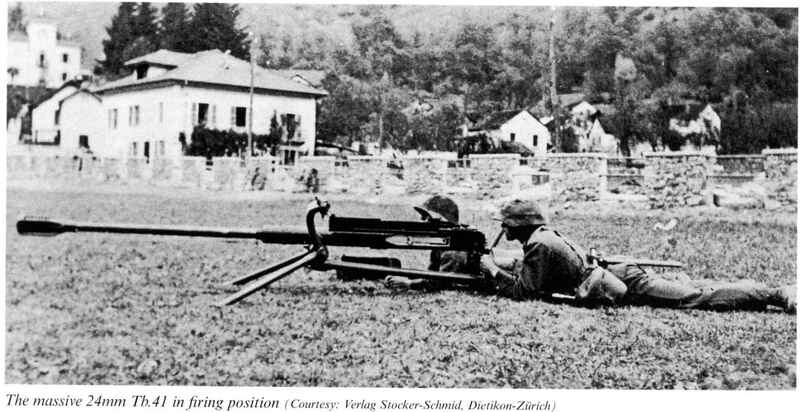 Belt-fed versions were developed later. 12. Oerlikon FFS (20X110RB) Switzerland. Drawn without drum magazine. Note charging cylinder above barrel. 13. Hispano-Suiza Type 9 (20 x 110RB) France. Note 60-round drum and charger. Version of Oerlikon FFS adapted for engine mounting. Type 7 was similar. 14. Mauser MG 151/20 (20 x 82) Germany. Note barrel shorter than 15mm version. 15. Ho-1 (20X125) Japan (IJA). Designed for flexible mounting, in which the recoil was absorbed by the mounting. Used a 15-round double-drum magazine (not shown). Directly derived from Type 97 anti-tank rifle. Kawamura design. 16. Ho-3 (20 x 125) Japan (IJA). Version of Ho-1 for fixed mounting. Note 50-round double-drum magazine and recoil cylinder mounted underneath the gun.